This is a gardener’s shed that has significant storage space and is multifunctional. 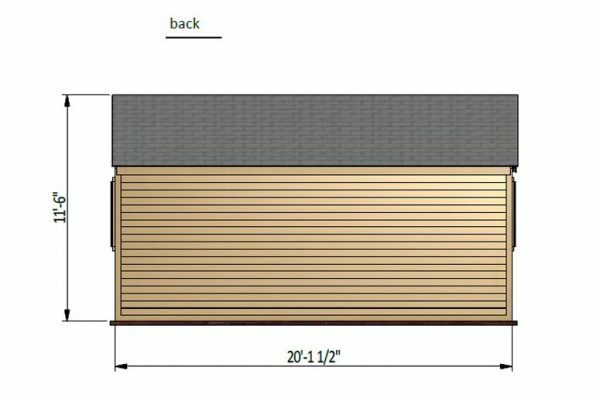 The floor and gable roof uses plywood for sheathing instead of particle board, and the walls are covered with wood siding. The Sunflower can be used as a live-nursery, tiny home or just for storage. 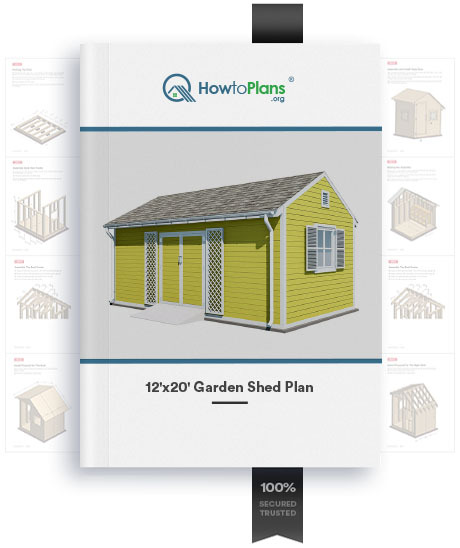 The 12’x20’ Sunflower Garden Shed Plan is a comprehensive blueprint that simplifies the construction process by utilizing a step by step instruction manual with a series of smaller steps. It includes a material list that displays the types of building materials, fasteners, and door hardware. The plan begins with the site preparation and goes into detail on the correct method to dig the trenches for the concrete and mortared-brick footing. It will guide the builder through every phase of construction including framing for the floor, walls, gable roof, siding, shutters, windows, doors, drainage system, vents, and door ramp. CAD illustrations in 2D and 3D display the measurements, layout, and rough openings. 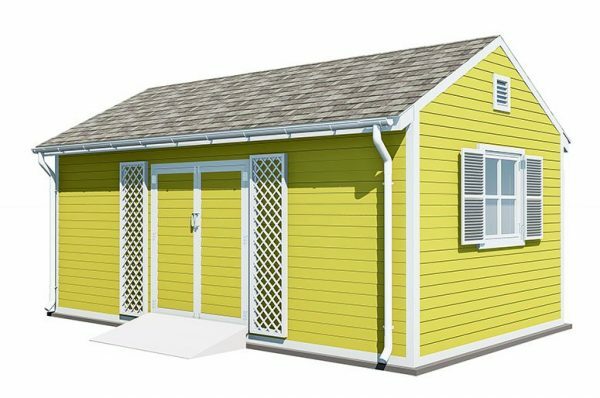 It’s designed for medium skill level, but the instructions and illustrations make it possible for the average homeowner to build. 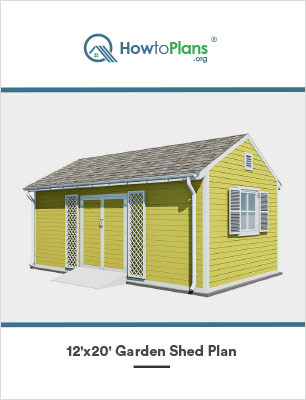 The 12’x20’ Sunflower Garden Shed is a sizable structure, and it provides 240 sq. ft. of storage space. The framework utilizes pressure-treated lumber, which is stronger than kiln-dried and resists moisture and insects. The floor and gable roof uses plywood for sheathing instead of particle board, and the walls are covered with wood siding. The result is a rock-solid structure that will last for decades. This is a professional gardener’s shed that has significant storage space and is multifunctional. The Sunflower can be used as a live-nursery, tiny home, roadside store, man cave or garden supply and equipment storage. This shed is perfect for large-scale agricultural operations like apple orchards, orange groves, strawberries, blueberries, cranberries, and other farming products. It has significant storage space for large machinery and supplies. The Sunflower can be stained or painted to match existing landscapes and exteriors, and its construction provides years of durability. A: In most local townships and municipalities, if a shed is less than 100sqft, you do not need a permit. 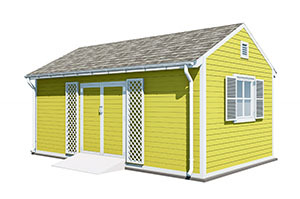 For sheds more than 100sqft, it’s always best to go to your local town office and inquire about a building permit. 2. How much it would cost me to build? A: According to most building cost estimator programs, the average cost for materials to build a shed is about $22.85 per square foot. 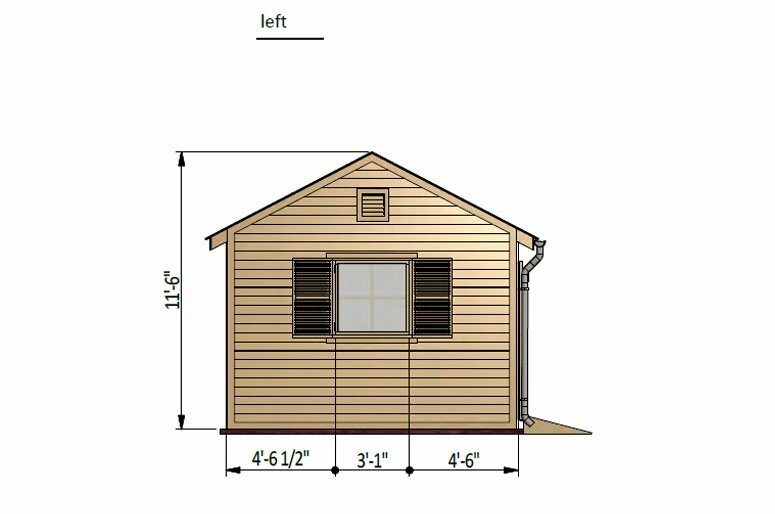 For example, an 8’x10’ shed equals 80sqft x $22.85 = $1,828.00. 3. How much time will I need to build it? 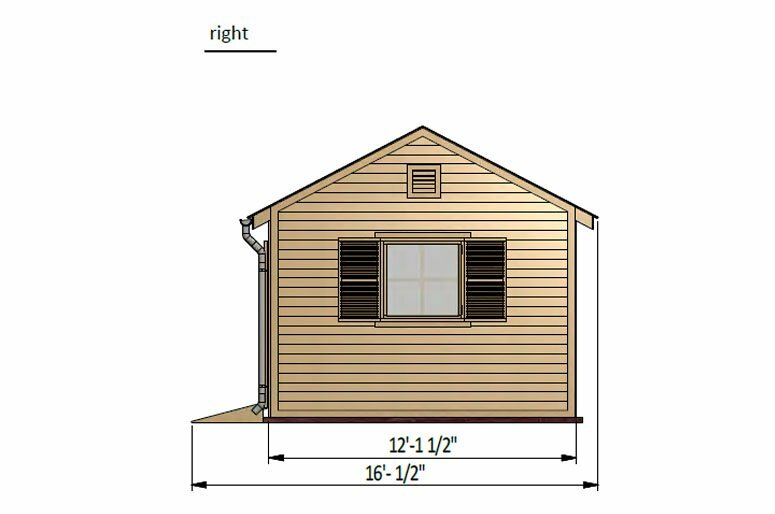 A: The size of the shed plays a role in how long it will take to build it. An average 8’x10’ shed can be built in 3 to 4 days from start to finish. 4. Do I need expensive tools or large equipment? A: You do not need expensive tools, a typical miter and table saw will work just fine. You will also need basic hand tools, corded drill or cordless screw gun, standard 7 1/4’ skill saw, and a variety of garden tools for the foundation. 5. Can I install electricity in my garden shed? A: Yes, you can install electricity in your garden shed. You can run underground electrical wire in PVC pipe from the main breaker box in the house to your garden shed. You can also use a gas-powered generator for temporary power when you need it. 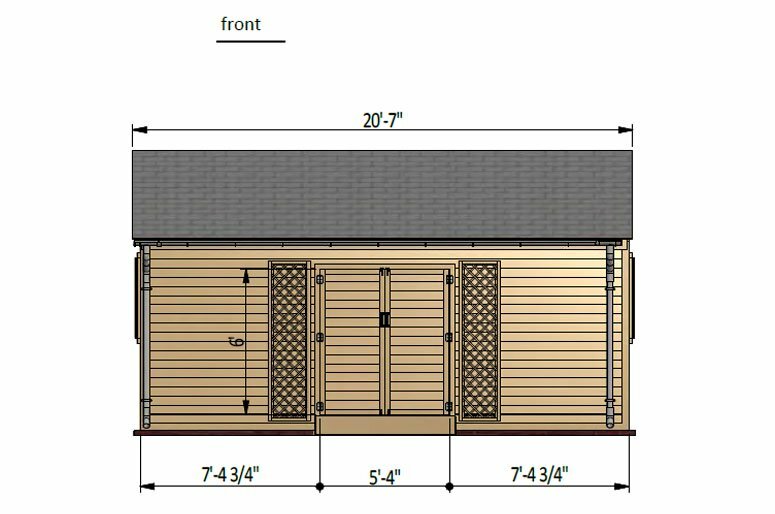 Build Your Own 12×20 Shed Now! There are no shipping costs as the plan is available instantly by digital download in PDF format. You will have immediate access plus ongoing and smooth after sales support.